The best 5 Free, vegan, quick dry top coat to glaze your nails! Touch dry within 30 seconds and drying to a high shine, Glaze smooths down even the chunkiest of glitter polishes within 2 coats. Hard wearing and durable, Glaze top coat dries with a wet look, high shine finish that will enhance and protect all nail polishes with no shrinkage. Buy Baseline & Glaze together for £10! Just add both products to your basket. For a full list of ingredients please click here. I really recommend this top coat. I use the baseline under my polish and this on top and my nails last for usually 7 days, with one bar shift done in that time. It's quite thick but really shiny and makes such a difference. I have a moyou top coat but somehow that just makes my nails slide off whole after a few days, so this one is amazing by comparison! One of the best top coats I've used. 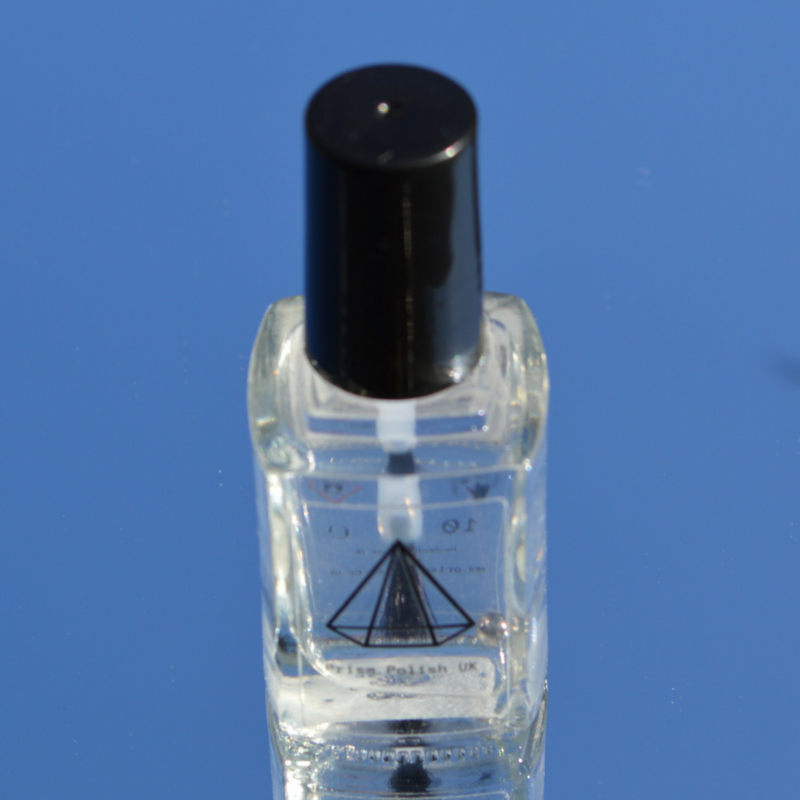 Totally transforms your nail polish, leaving a high shine and smooth glossy finish. The absolute winner, is that it's completely touch dry within 2 minutes. No more waving your fingers around and blowing on your nails for 45 minutes. This is by far the best top coat! Makes my nails feel so smooth, I can't stop touching them. Really high shine too, makes my polish stand out that much more. Best top coat I have ever used! The formula is just right. Applies smoothly and dries super fast. My nail polish lasts for a week chip free! Wonderful top coat. Dries quickly, applies really nicely. Made my polish last for ages - even one not purchased from here (sorry), which usually chips within hours.